Al Ahly boss Martin Lasarte believes his side were worthy of a draw against JS Saoura, saying the result was a fair reflection of the match. The Red Devils salvaged a late draw away from home against JS Saoura and moved top of the group, thanks to Karim Nedved’s late header. “The game was balanced, but in the second-half the opponents were better and managed to score a goal, which inspired my players and pushed them to score the equaliser,” Lasarte said. “The result is fair, we came to Algeria with many absences and injuries. We gave Yasser Ibrahim his debut and added Hamdi Fathi to the squad. “Walid Soliman has also waited to recover until the last moment to participate in the game,” he added. 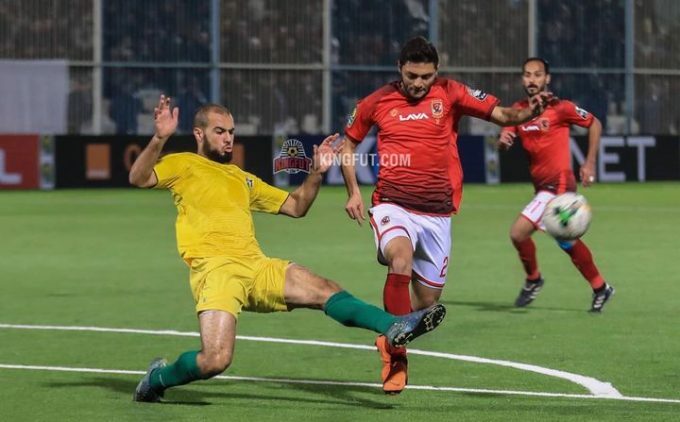 The draw moved Al Ahly to the top of the group with four points, one more than second-placed Simba SC, however, the Tanzanian side still have a game in hand against AS Vita Club.